My sister-in-law's baby shower was this weekend. I am more than just a little bit excited that she decided to use cloth diapers and wool with their new baby! My favorite thing to knit has always been tiny newborn knits for the quick factor. They go so fast, there is no time to get bored with what I am doing! So I knit them up a few things to use when my new niece or nephew gets here in a few weeks. First a soaker using MM Copper Patina, I've always loved this colorway and am so happy with the way that it worked up. And then since I have been itching to do some linen stitch, a linen stitch soaker using MM Seaglass. 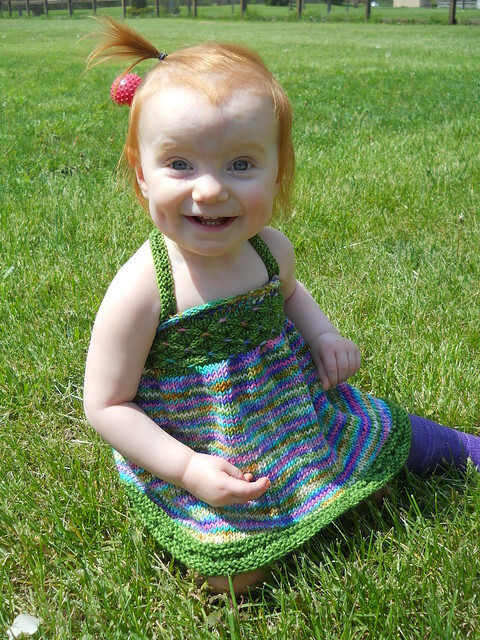 When I found out I was pregnant with Elise, the very first thing I knit was a romper with this colorway, so it always reminds me of that brand new baby stage. And then just for fun, they really needed an elephant. The baby's nursery has a jungle theme, and this pattern is just perfect. Elise has a purple elephant from the same pattern that she sleeps with, so now the cousins have matching elephants. Behind it you can sort of see the non knitted cloth diaper cake that I put together, I got a disposable diaper cake (since that is what we were using at that time) from a dear friend, and it was the cutest thing ever. I had a lot of fun with this cloth diaper twist. I'm not making any promise, but I am going to *try* and keep this blog more updated with what I am knitting. One of the last things I finished (the last 3 I actually finished are top secret until tomorrow!) was this sweet little scrappy set that was used as a coming home outfit for a little boy born this week! It's been a long time since I knit with scraps, and I forgot how much fun it is! Lately I've just been taking customs slowly as they come, but I am pretty open right now until fall. Starting September/October I will probably be booked up with a few customs and personal knitting until after Christmas, so if anyone is looking for some fall or winter knitting, now is the perfect time! I've been working on this thing on and off for over a year now. What made lots of sense in my head, turned out not to make as much when I tried to explain to others how to do it! But after lots of writing and rewriting, and math, and pictures, I think, with the help of my testers, I've finally gotten to a place that makes sense! 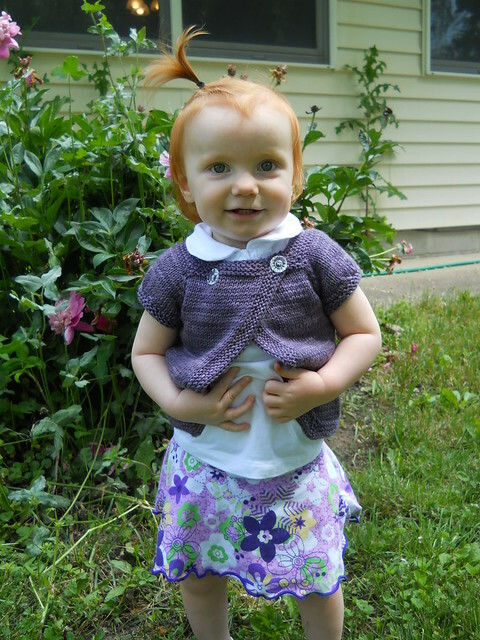 A summery smocked dress/tunic/top/and even skirt! 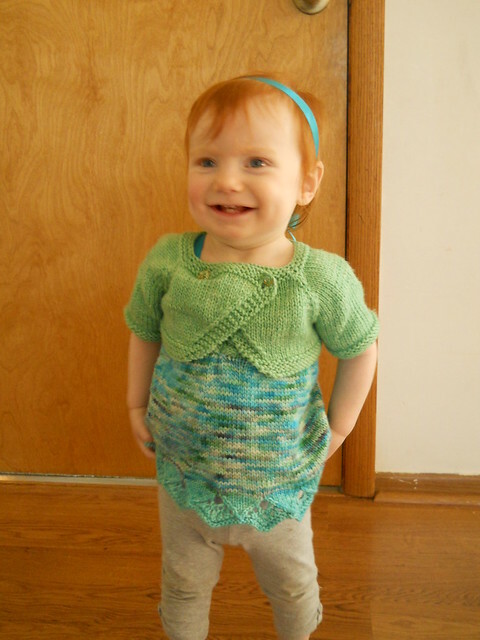 A long overdue fair knitting post! Now that just about a month has passed, I'm finally getting around to posting about my fair knitting! Last year I only entered a few things, though was in 4-H or worked for OSU Extension for a huge portion of my life, I wasn't quite sure how the Sr. Fair side of things worked. This year I filled every category that I could, and I already have plans for more next year! I will preface this by saying I HATE KNITTING SCARVES. The only reason I knit this scarf was to fill this category. And about halfway through I remembered just how much I hate knitting scarves, sewed some buttons on it and called it a day. I should have entered one of the boys sweater because they look more impressive, this was the item I was most proud of though as it's from my pattern and I figured out the cables myself too. It's nice to sit back and look and something and say "I created that" The idea for it, and then the pattern, and then I knit it. Like I said, I was in the mood to enter as much as I could, so I entered this Cub Cuddler as a "photo prop" in the other category. It didn't win anything, and I am pretty sure they had no idea what it is. But I still love it. I love this blanket, I'm glad it won something. Elise still uses this all of the time in her carseat when it's just a little chilly. I can see this being her blanket she sleeps with long after it covers her little body anymore. So the past 2 years the 1st place overall for knitting as gone to a lace shawl. I do not wear shawls, but I am determined to knit something next year for a chance at that prize! I do love lacework though, so it should be fun. I have some lovely Wollmeise lace that I can't decide if it should be a shawl or a laceweight sweater for me. I need to start looking at patterns! All pricing will now be based on a set $.17 per yard. Additional fees may be added for embellishments, or at my discretion based on the difficulty of the design, but will always be discussed with the customer ahead of time to avoid any surprise fees. Because of this, I can only offer estimates on what your item will cost based on my previous experience with knitting similar items, or yardage amounts listed in patterns. There will be a $20 non refundable deposit due before I start knitting your item. The balance will be due within 2 weeks of my finishing your item and sending an invoice. Items will not be shipping until the balance and shipping have been paid in full. Payment plans are available upon request, but must be set up at the time that I begin your items. For questions about how much your item may cost, please contact me. I will do my best to provide you with accurate estimates. I promise I'm still here, and still knitting (an crocheting even!). I've posted before about how I go through spurts of starting and finishing...well get ready for a BIG finishing stage coming up soon. Just finishing a few details, weaving in some ends, and even editing a new pattern!